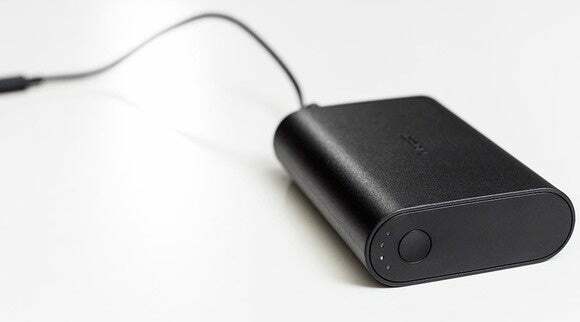 If you want a Microsoft-branded phone charger to go along with your new Lumia or Surface 3, Microsoft can oblige with its new Portable Dual chargers. Battery-powered portable chargers seem to be a dime a dozen these days—they’ve replaced USB keys as the complimentary shwag at trade shows, for instance. 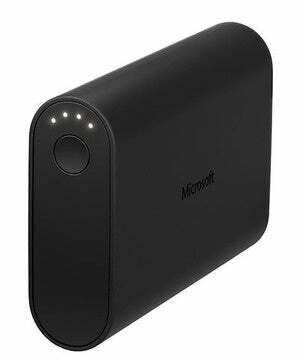 But Microsoft has entered the market with three new, reasonably priced chargers under its own brand. Microsoft will begin shipping the three new Portable Dual chargers over the next few weeks: a 5,200 mAh, 9,000 mAh, and a 12,000 mAh model, for $35, $45, and $55, respectively. The concept is pretty simple: you charge them via a USB cable from an outlet or USB port, then use the included microUSB cable to connect them to a portable device and power them up as well. Four LEDs reveal the power level on the new Portable Dual charger. As the name suggests, the new chargers can power two devices at once, or can charge themselves and one other device by “daisy-chaining” between the wall and your phone. Each comes equipped with a power button and four LEDs to indicate the available charging capacity. Why this matters: They’re not the cheapest battery packs around—a quick spin around Amazon or another retailer will reveal that there are far better deals. But if you’d feel more comfortable buying from a brand you trust, Microsoft has you covered. That sort of security can be worth a few bucks more.